Music videos were something I didn’t really watch much of anymore but I’ve been checking some out lately and have been surprised by how good some of them still are, I really thought music videos had become irrelevant. 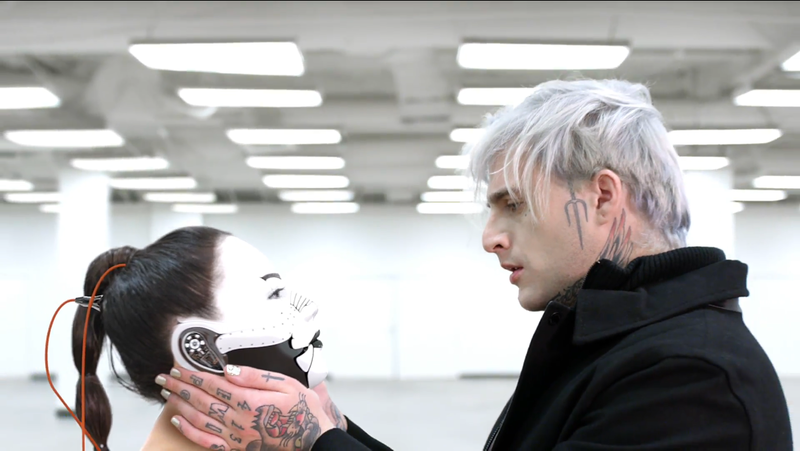 Sometimes you have music videos inspired of that seem inspired by something else and in this case Highly Suspect’s “My Name is Human” is very similar in style to Ghost in the Shell. This is by no means anything official but the similarities are there. You have a man who is basically building female robot from scratch until the end when it’s finished and it basically looks like a human. While it’s likely not an android like Matoko; A lot of the imagery seems to be straight out of Ghost in the Shell, including the movie. Some might even bring some Matrix comparisons with the completely white room and the black attire the Johnny Stevens is wearing. As I mentioned a lot of the imagery reminds me of the Ghost in the Shell live action movie which also had a great trailer that used a cover of Depeche Mode’s “Enjoy the Silence” by KI Theory. which you can see below.